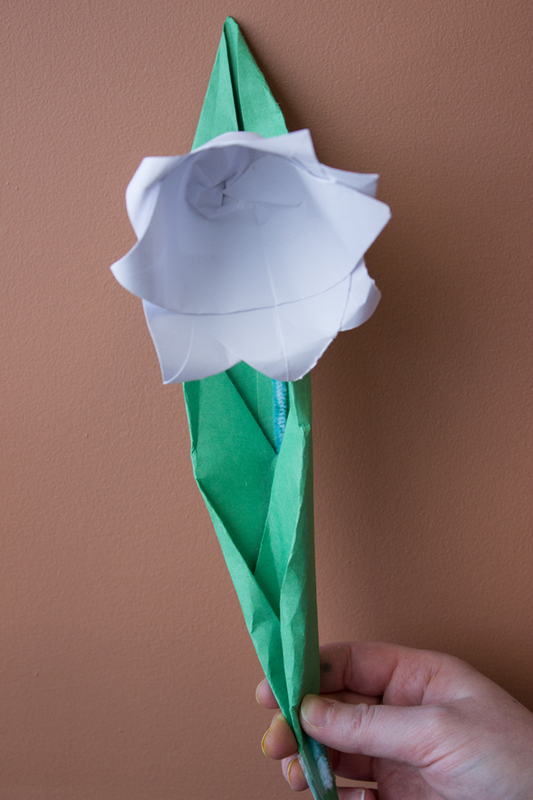 This flower is a great symbol for Jesus: its beauty and color symbolize the royalty and purity of Jesus, and the flower’s appearance of “bowing its head” reminds us of Jesus’ humility. 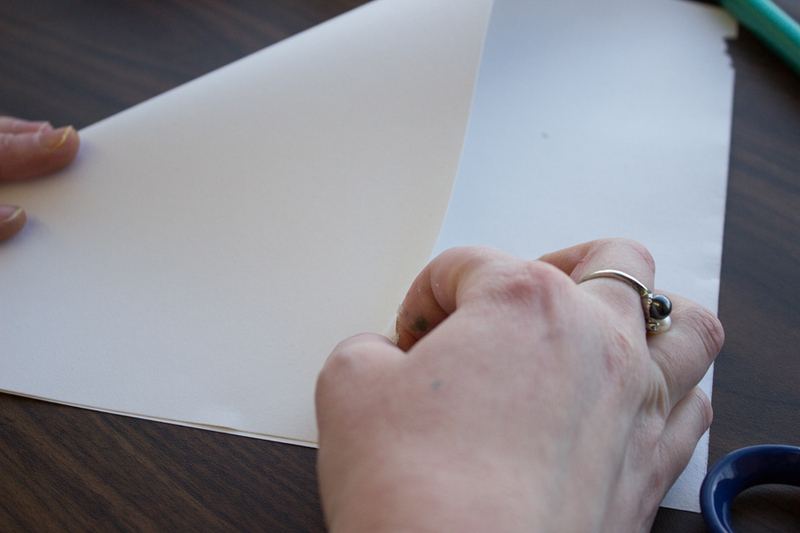 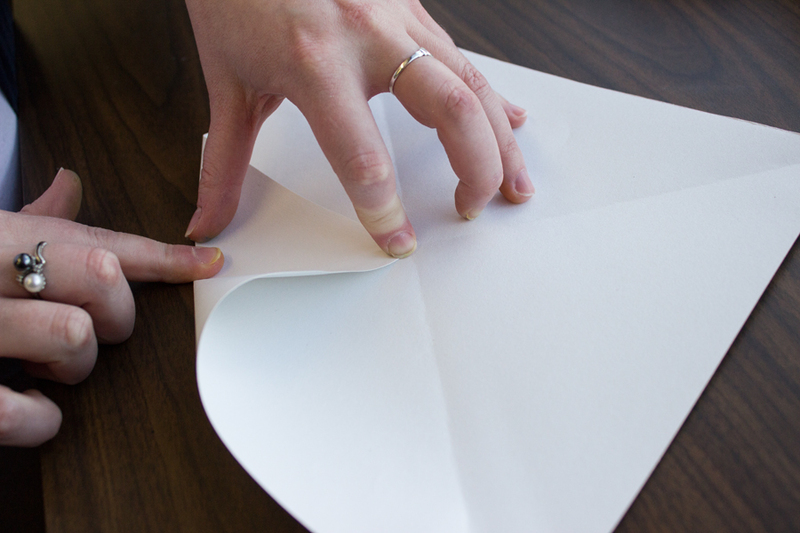 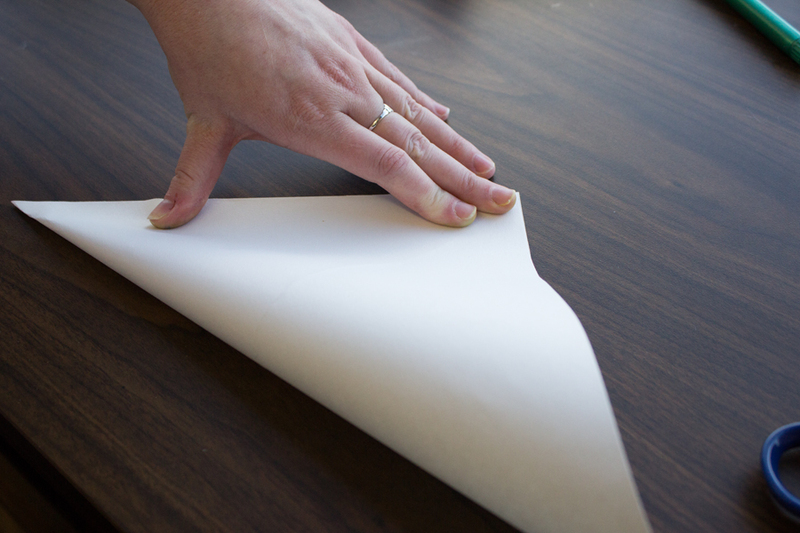 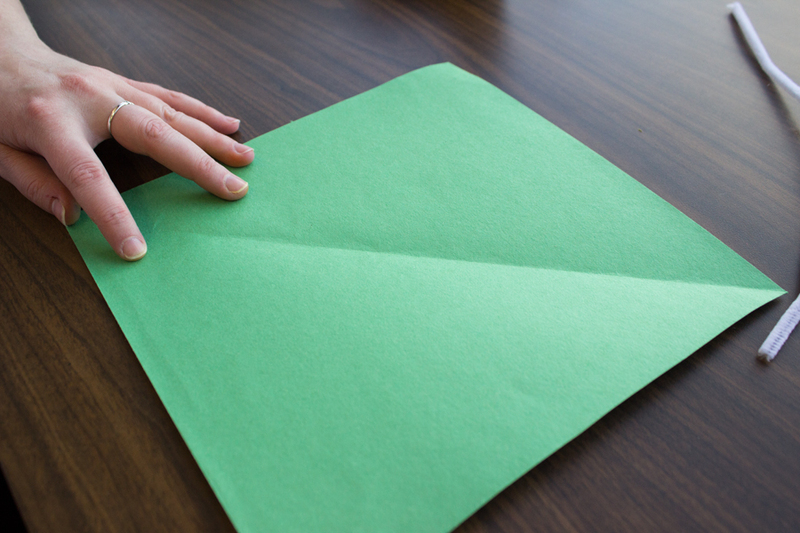 Step 1: Fold a regular sheet of paper (8.5″ x 11″) with the bottom right corner up so that the bottom edge of the paper is parallel to the left side of the paper. 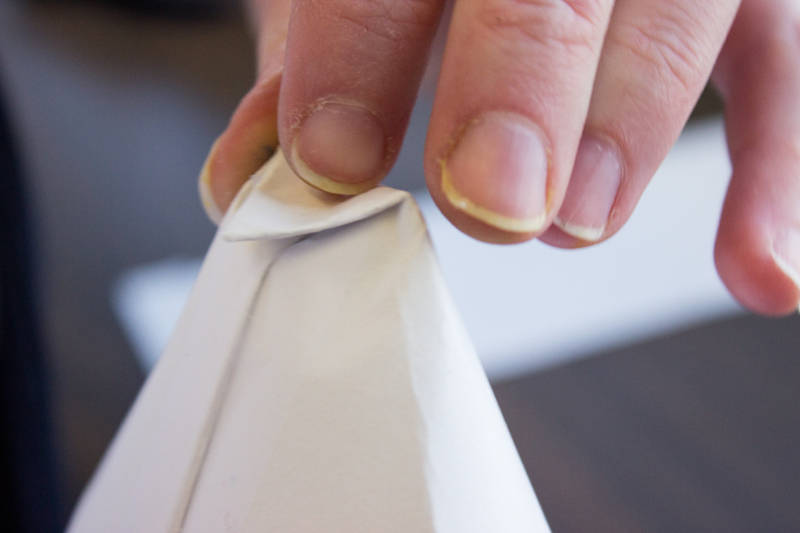 You will end up with two perfectly aligned triangles and a rectangle of extra paper attached to the triangle on the bottom. 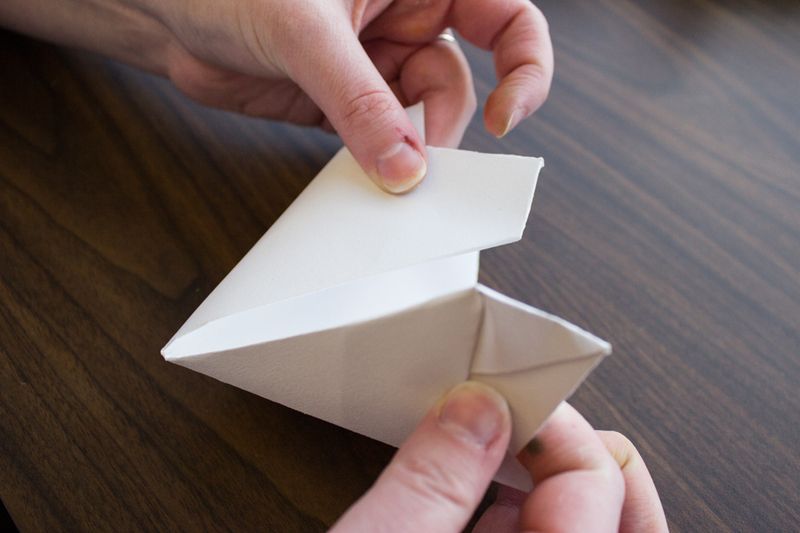 Flip the paper over, fold the rectangle, and cut it off so only the two identical triangles remain. 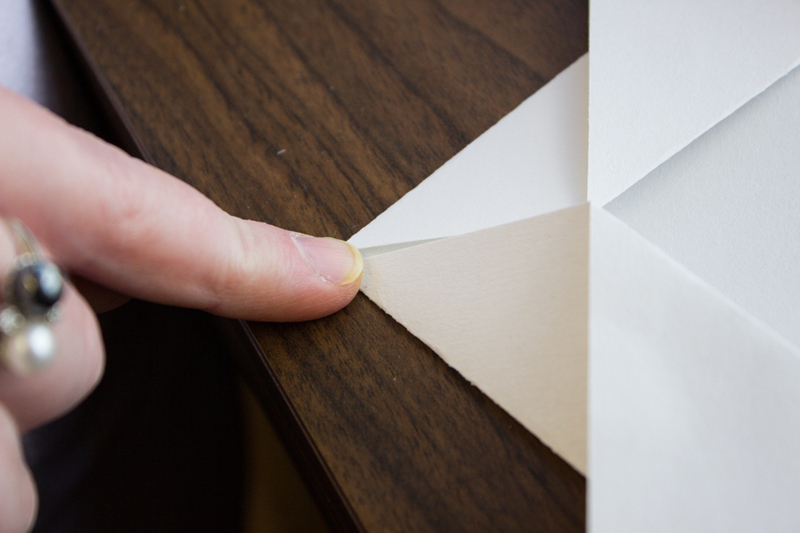 Unfold the paper after cutting off the excess and you should have a perfect square. 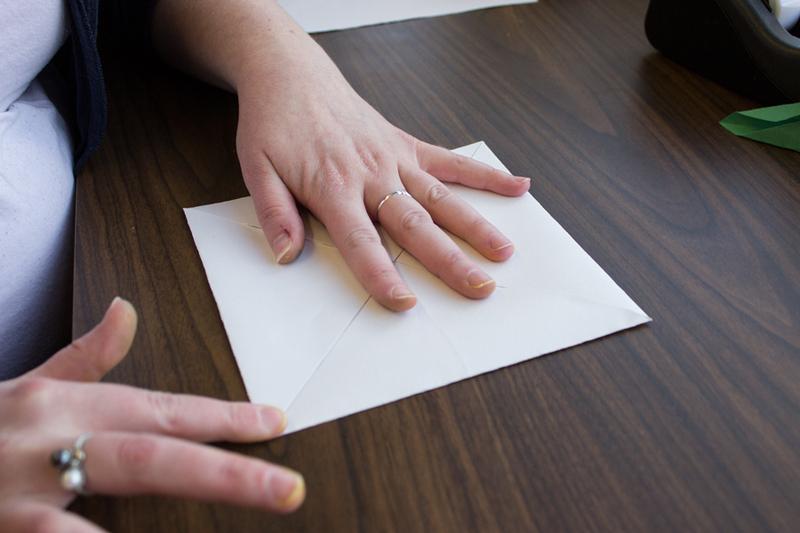 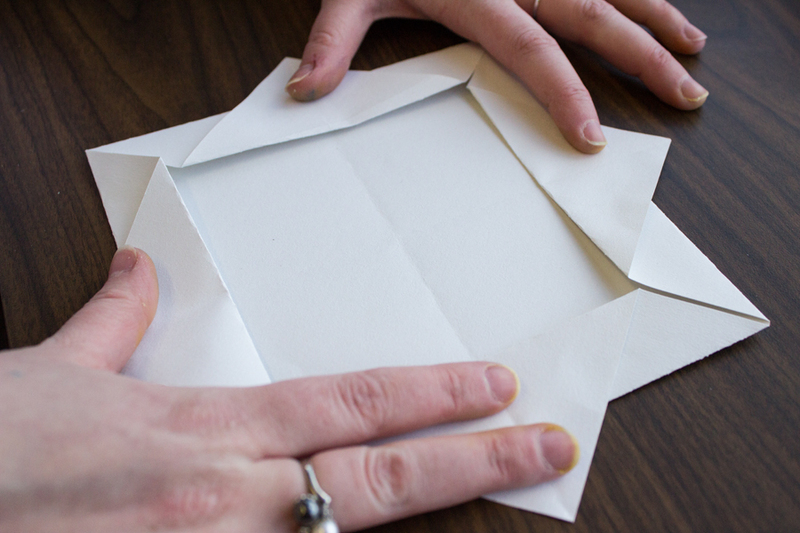 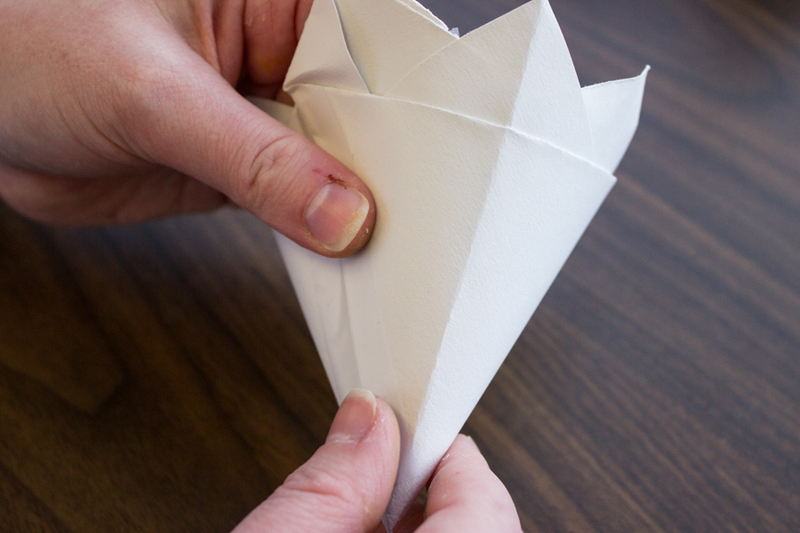 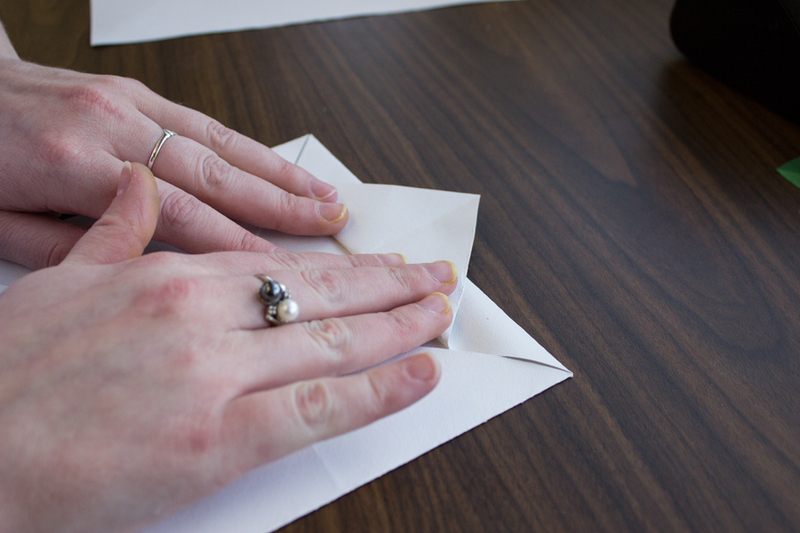 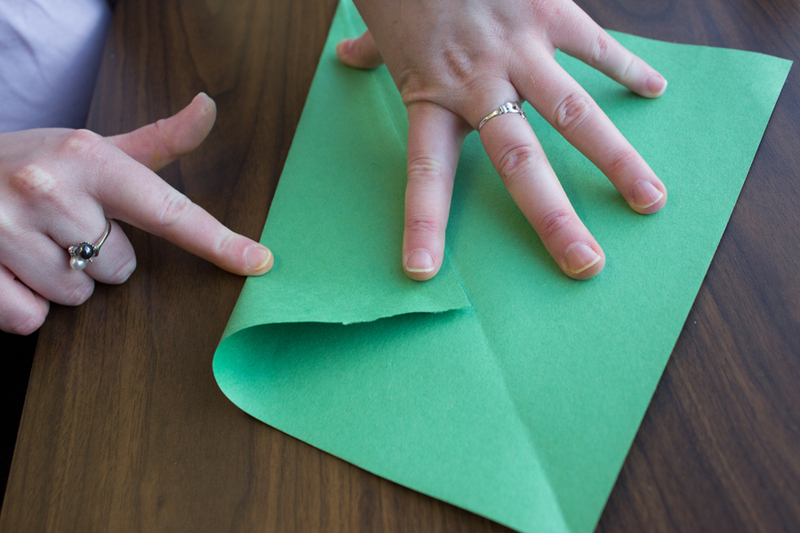 Step 2: Fold the left hand corner up so that the bottom edge is parallel with the right edge, and then unfold. 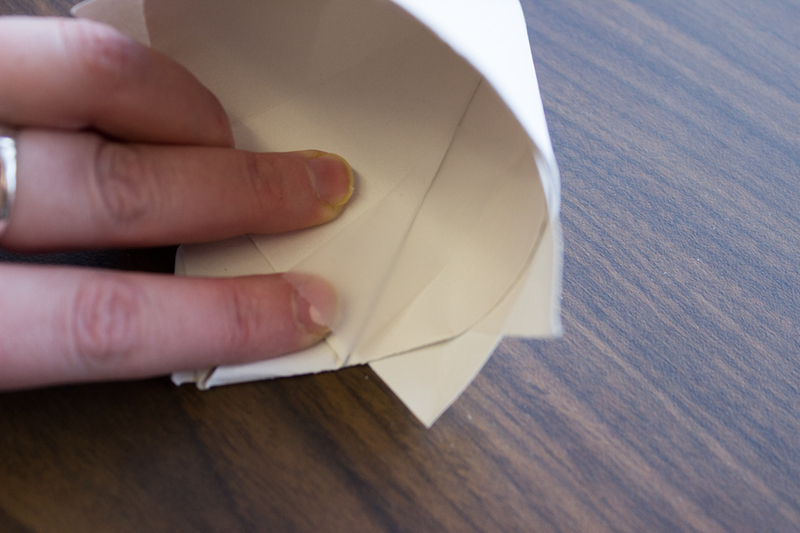 Step 3: Fold each corner of the square into the center of the square. 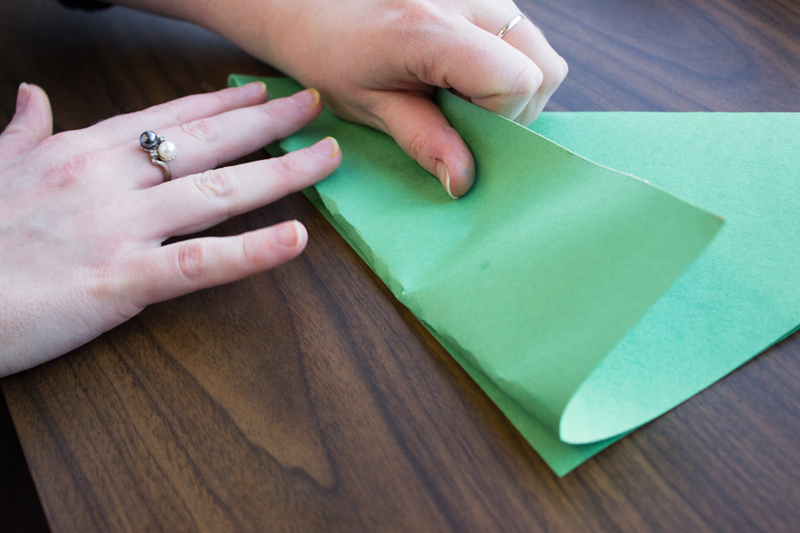 Step 4: Fold the tip of each corner up so that it sticks up over the new square and creates a smaller square in the center. 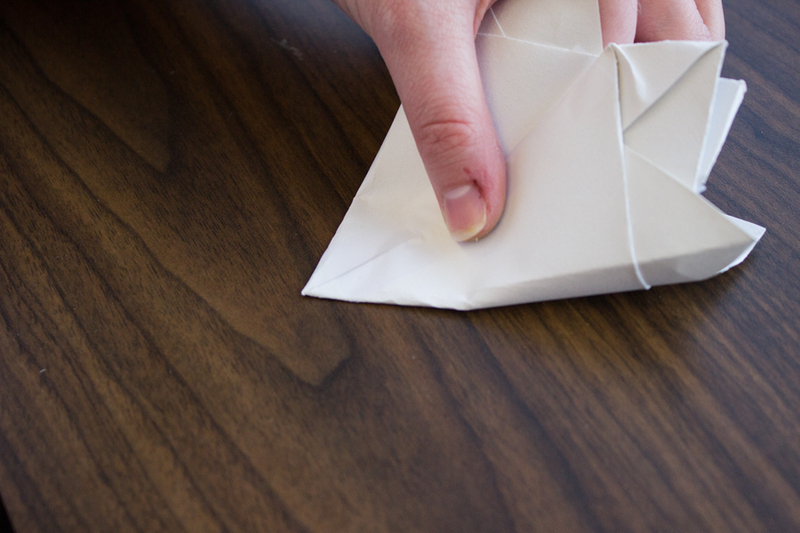 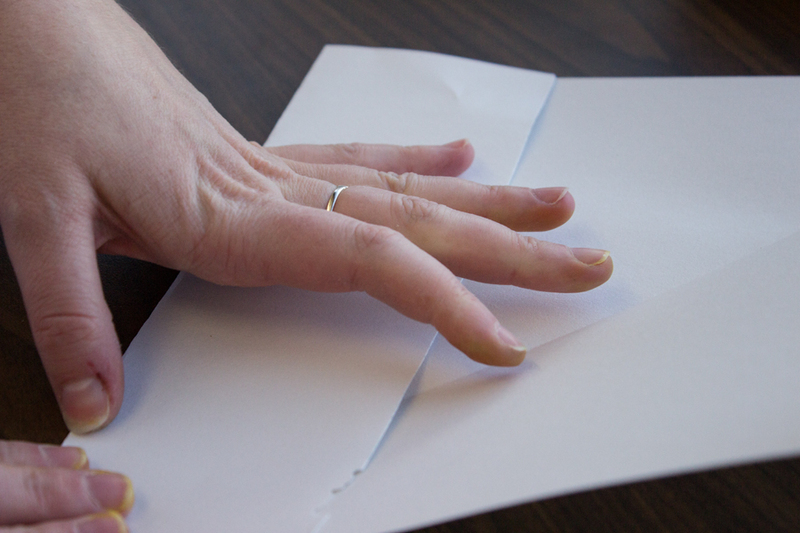 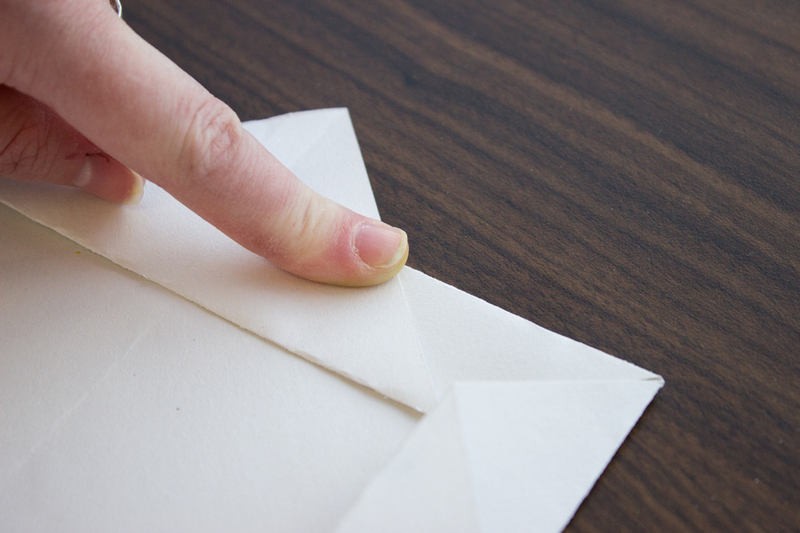 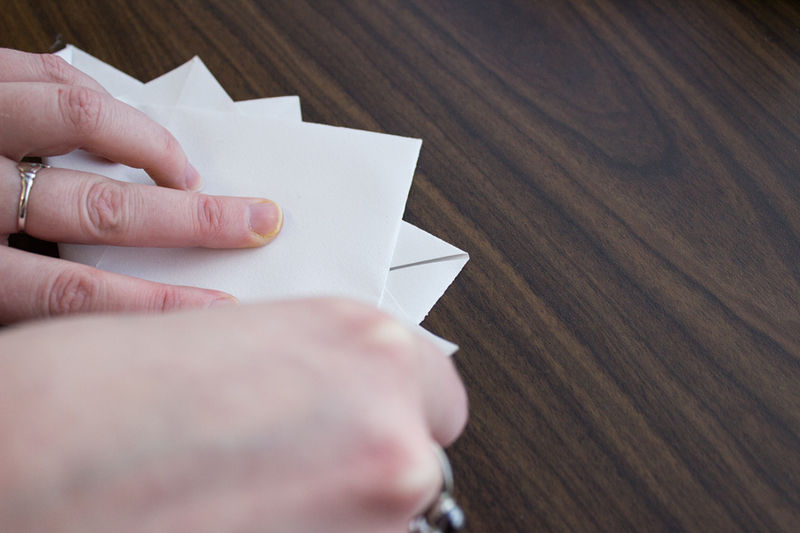 Step 5: Fold the paper so that the fourth point is located between the seventh and eighth point. 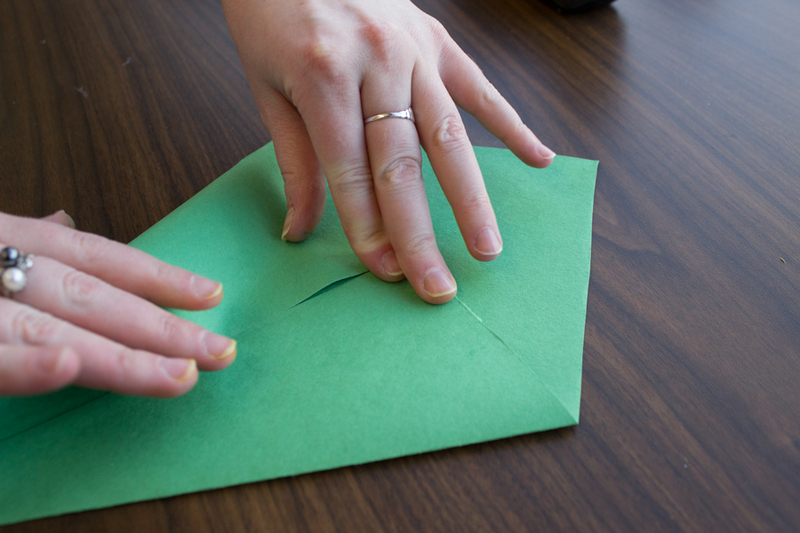 Step 6: Take the points on either end of the straight edge and overlap them. 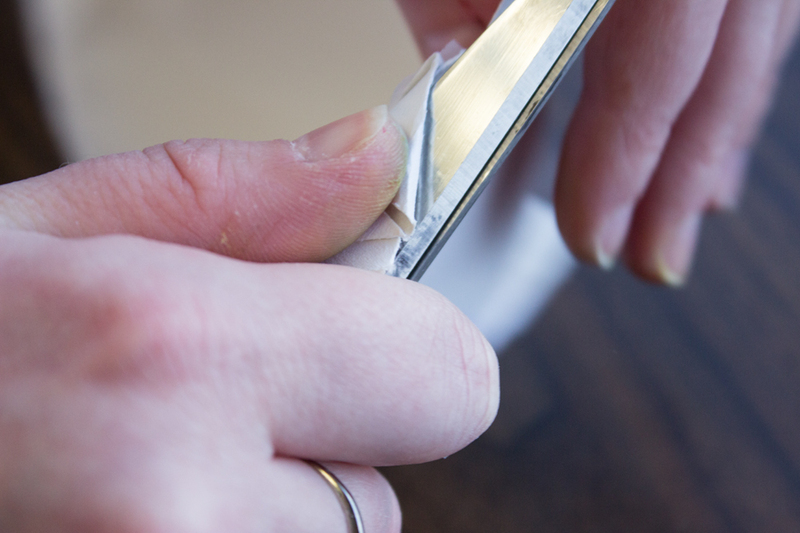 Tape them together. 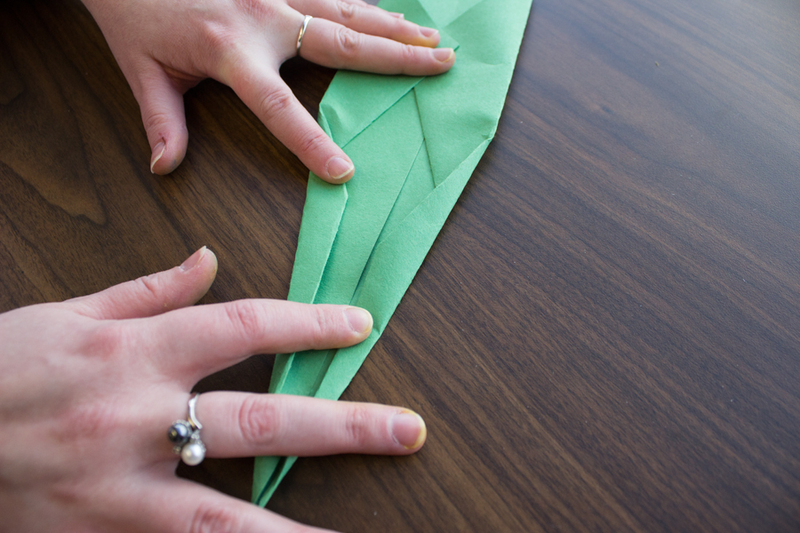 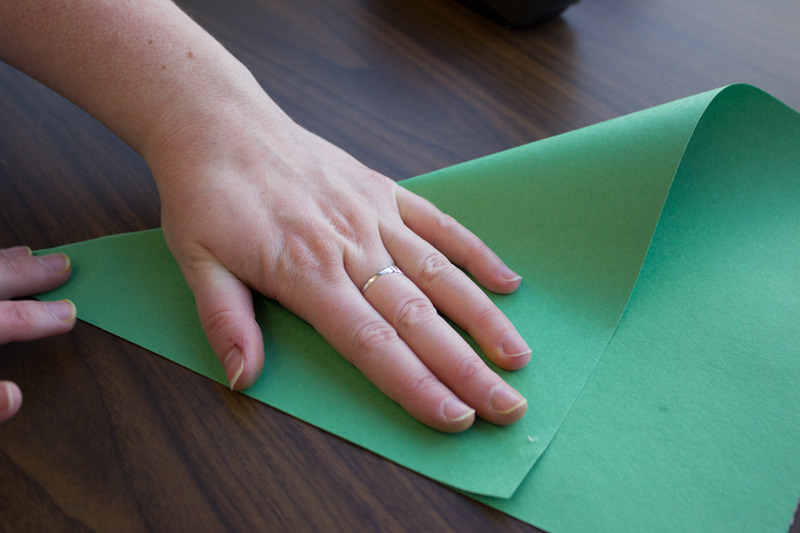 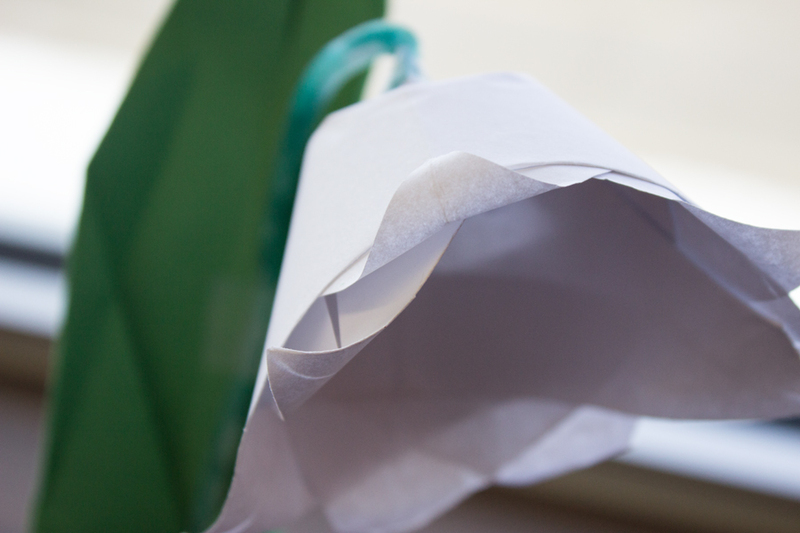 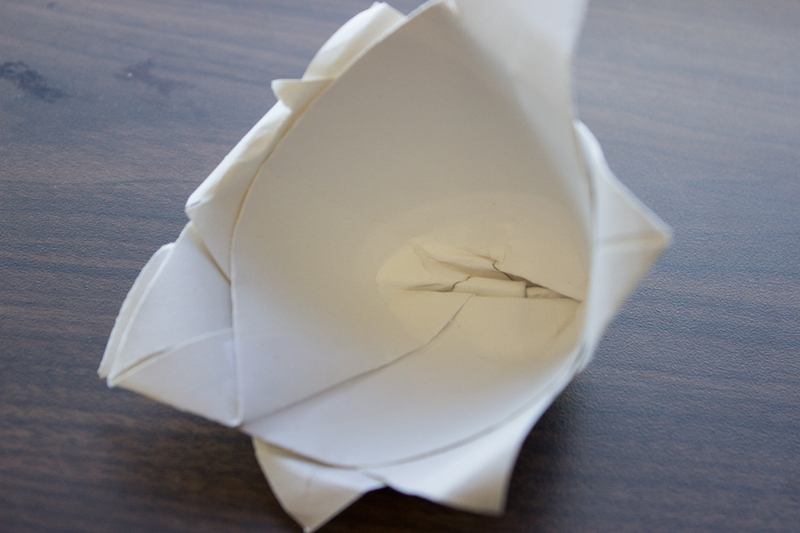 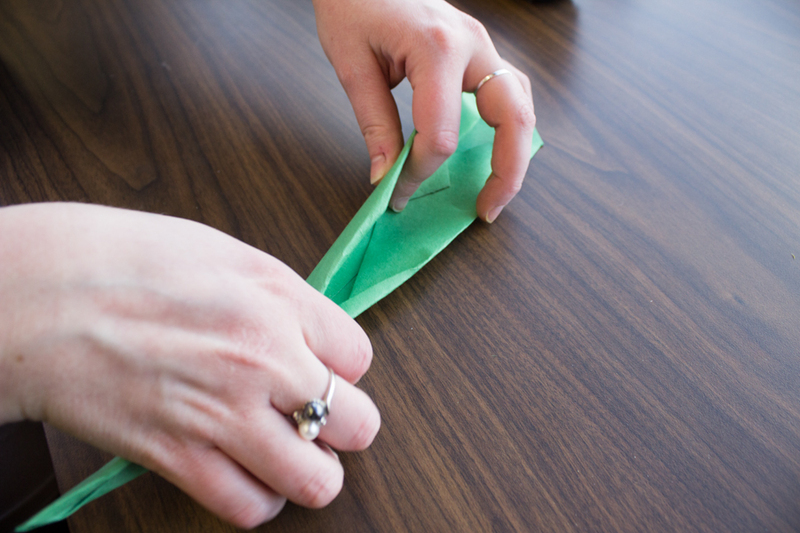 Step 7: With your other hand, pinch the bottom of the flower flat and fold it up onto itself. 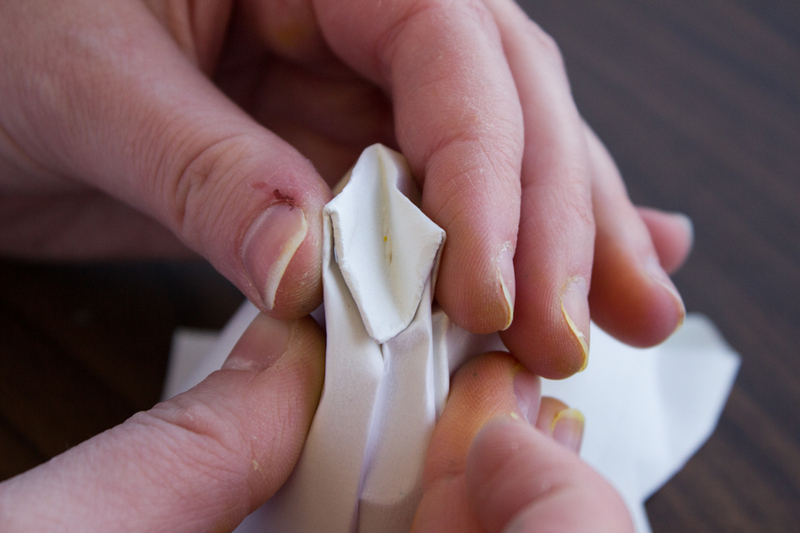 Step 9: Curl or press each petal down and under. 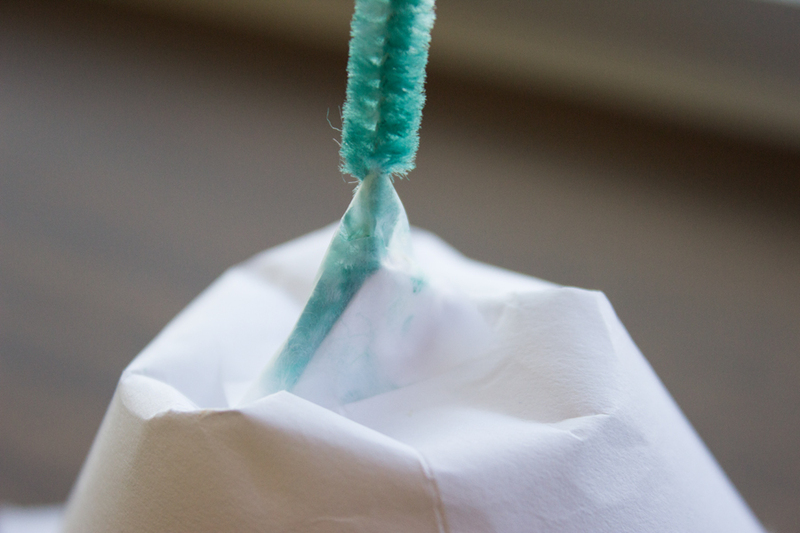 Step 10: Tape a green pipe cleaner to the bottom of the flower. 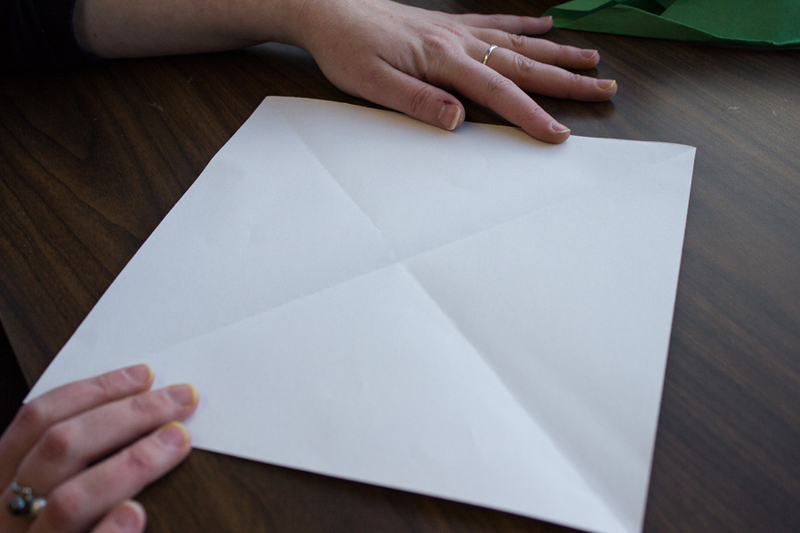 Step 1: Create another square piece of paper by repeating Step 1 above. 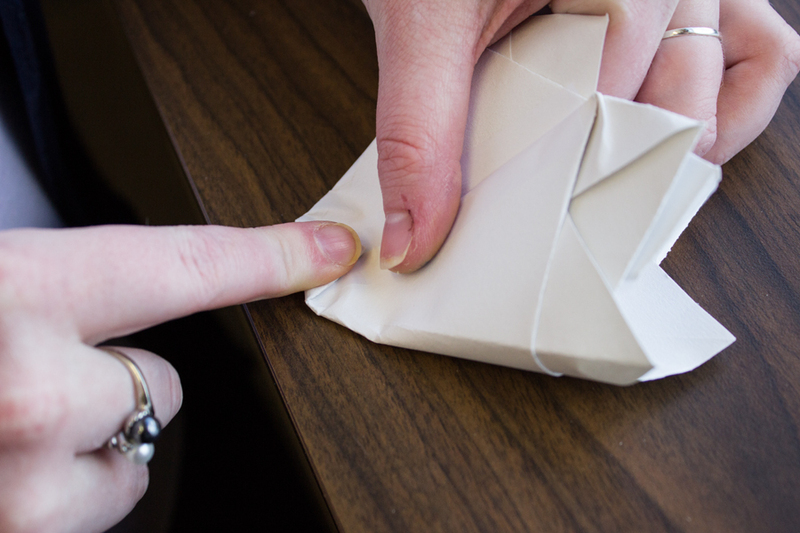 Step 2: Fold the top right corner and the bottom left corner into the center of the square. 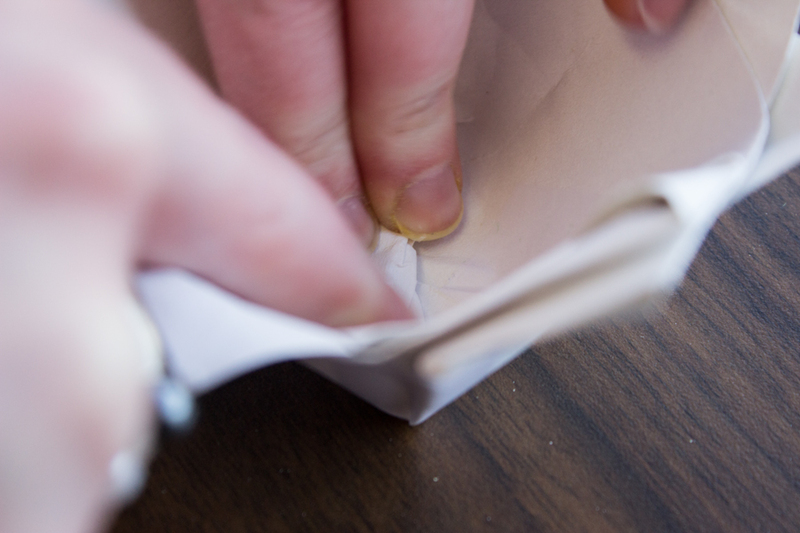 Step 3: Fold the lower right corner of the original square up to meet the two other points. 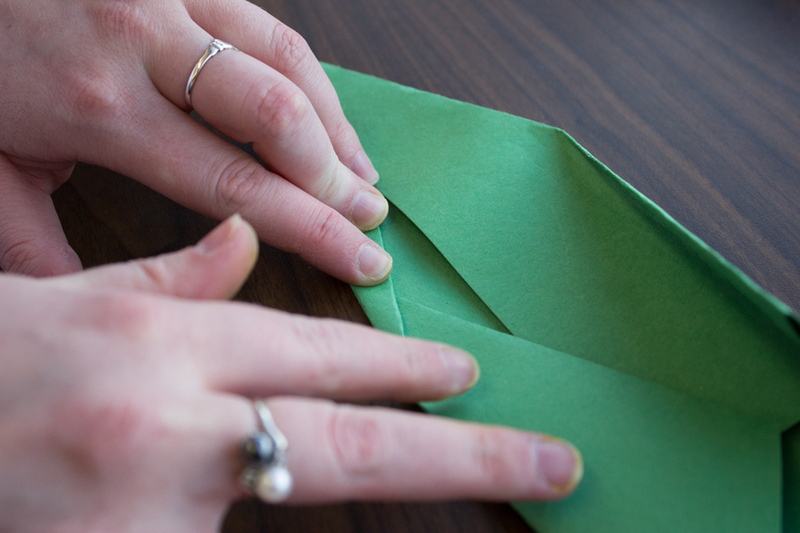 Step 4: Fold the right and left flat, non-folded edges in towards the center. 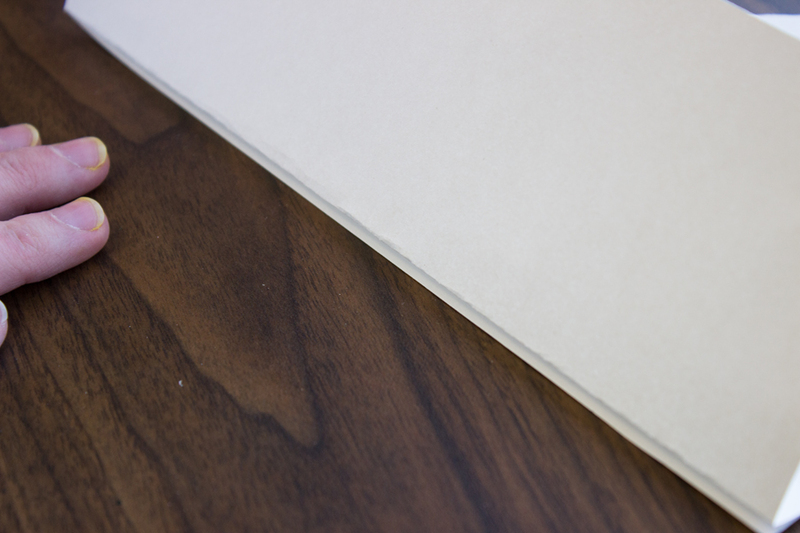 This should create a point at the edge where these two flat edges meet. 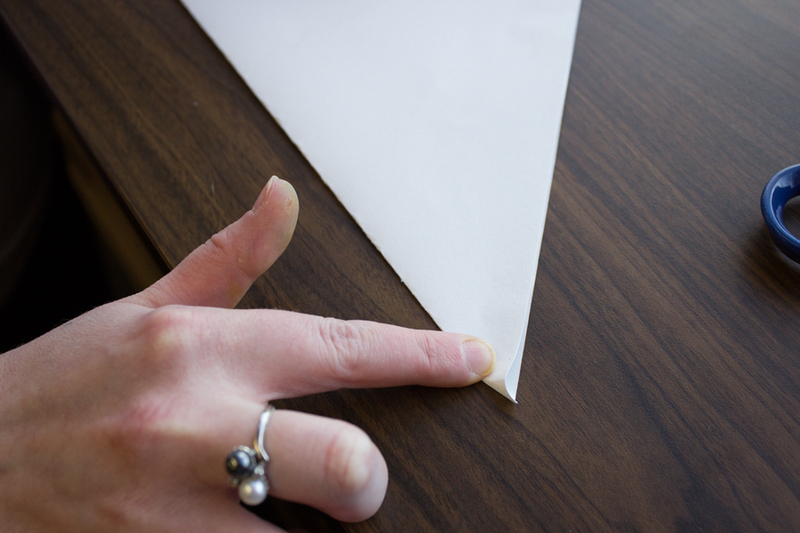 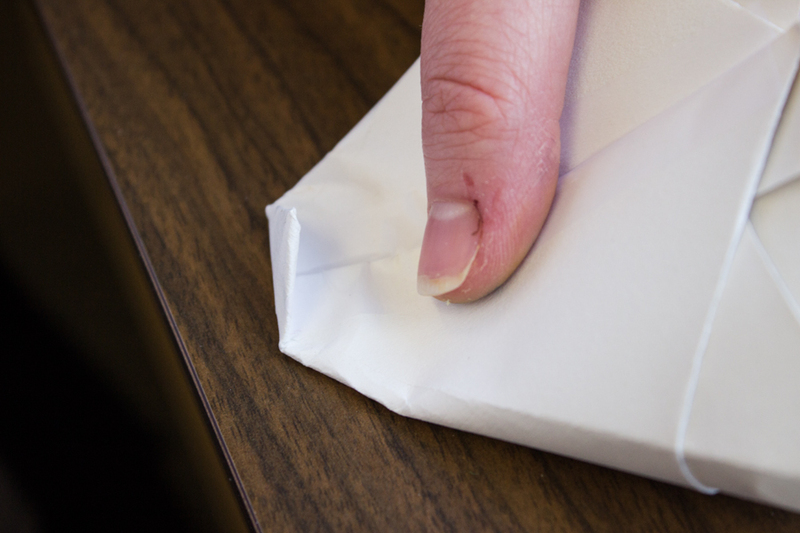 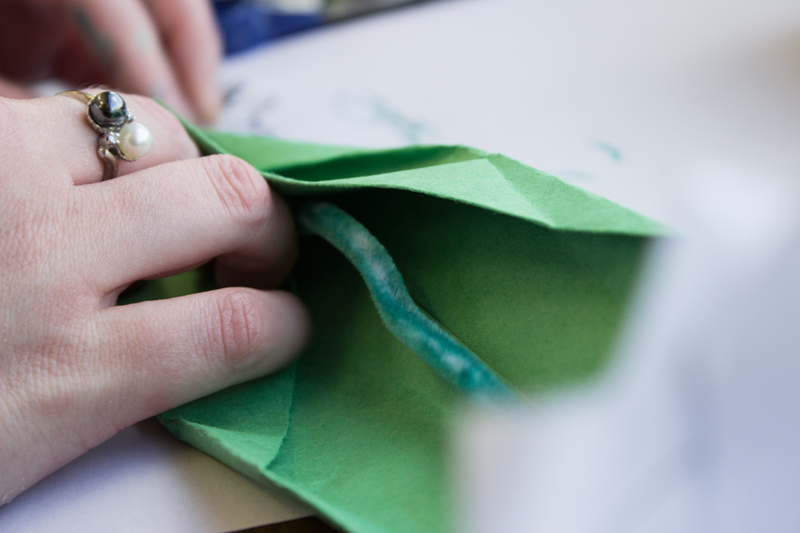 Step 5: Fold the entire piece of paper in half lengthwise and pinch at the base. 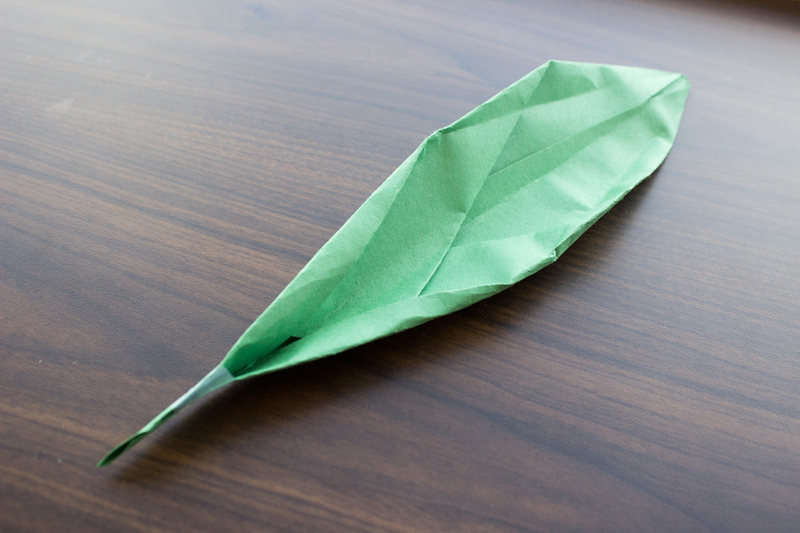 Add a small piece of tape to hold the leaf together. 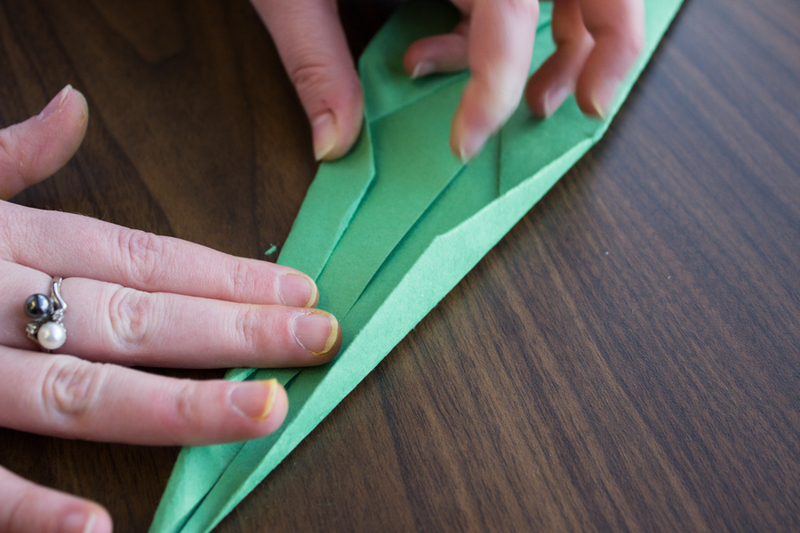 Curl the top pointy edge of the leaf out and down. 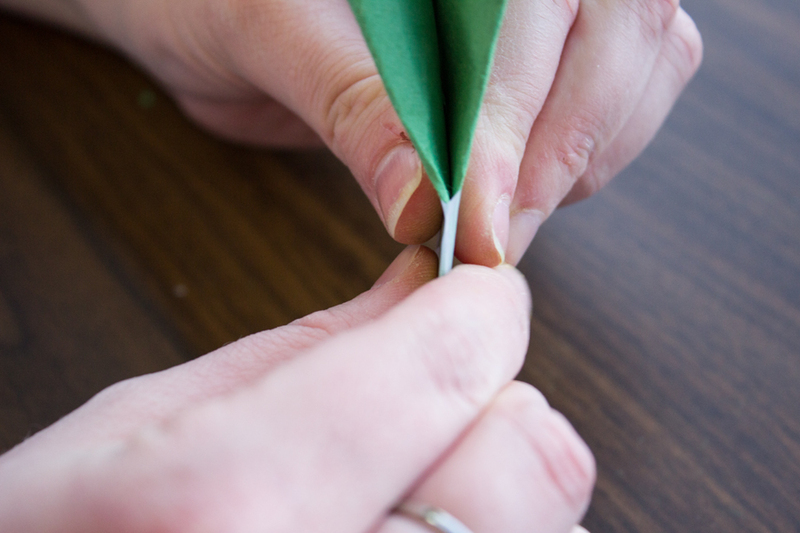 Step 6: Insert the pipe cleaner with the flower attached into the leaf and tape it into place.